Have you ever wished cats came with a user’s manual? 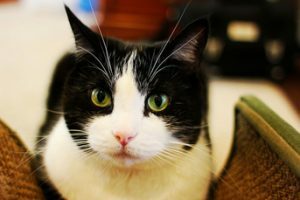 You know… a handy guide to living with cats where you’d find answers to your questions about their quirky behavior all in one place. If you’re wondering why your cat insists on clawing your favorite chair, or flatly refuses to use her litter box, or loves nothing more than depositing wet, gooey hair balls on the floor right where you put your feet when you get out of bed, we’ve got you covered. 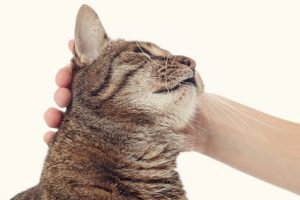 Our guide to living with cats explains all this odd and uncooperative behavior from the cat’s point of view. Not that the cats think it’s odd and uncooperative. To them, it makes perfect sense. They might be wondering why you’re being uncooperative! Over many years of living with cats, reading about them, working with them and rescuing them, I’ve discovered that living with cats is a two-way street. You give them what they need. And in exchange, they’ll give you what you want. Most of the time. 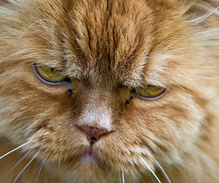 Our guide to living with cats takes a catcentric approach to resolving cat behavior issues. We try to see the world through the cats’ eyes and think like a cat. That means some of our suggestions are different from the ones you read on other websites. But they’ve been used with many cats, and we know they work. 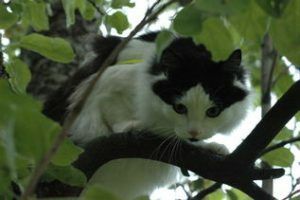 We hope you enjoy our articles on living with cats and find them helpful. But most important, we hope you discover how to think like a cat, so you and your cat can live together in “purrfect” harmony.